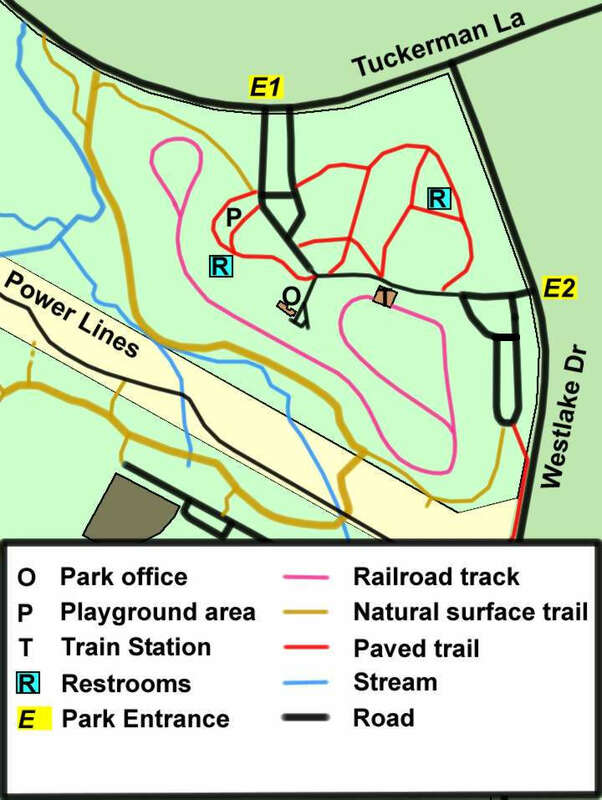 The above is a map of the play and picnic areas of the park. Entrance number 1 on the map will allow closest parking access to the play area while entrance number 2 is closer to some of the picnic tables. Note that the entrances are not marked as number 1 or number 2 on the entrance signs. The pictures on pages that follow will illustrate some of the play equipment available. This is a very popular park and is quite busy on weekends but ample parking is available.